Quality metal furniture with an Industrial design for outdoor and indoor, served by a wide range of colours and the best manufacturing quality. Designed and manufactured in France with the best quality standards, our range of metal furniture design is based on pure lines of industrial furniture with an extensive colour range. Choose in according what you like! With a requiring manufacturing process and treatment in our factories in France, Matière Grise furniture can be used outdoor but also indoor. A part of our models are also available in aluminum for maximum durability. A Low aluminum table or steel dessert, shelves, chairs and consoles, let yourself be seduced by the line of furniture Matière Grise! 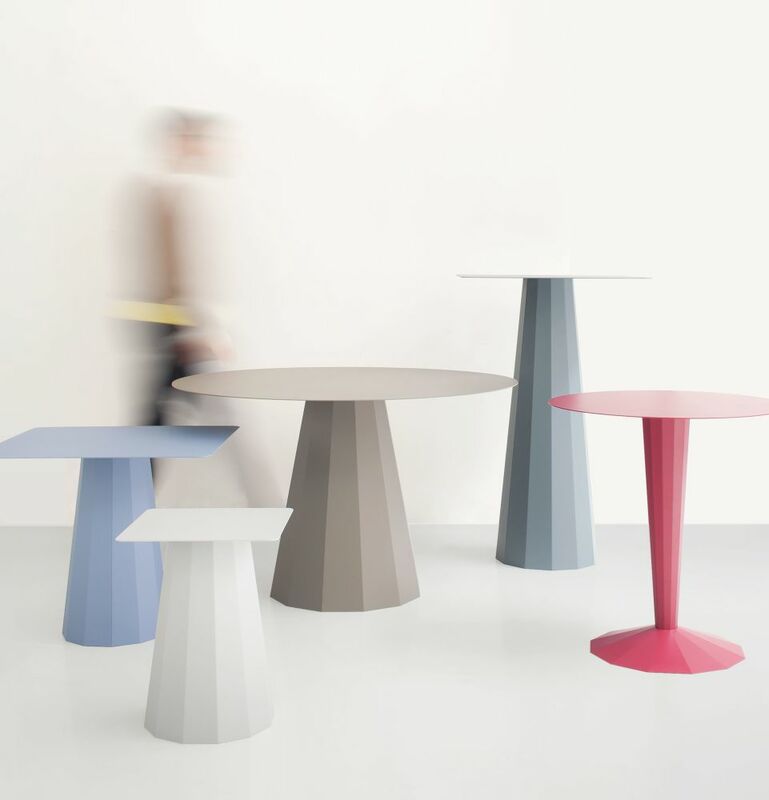 Since it was founded in 2005 on the initiative of Isabelle Mortreuil, MATIERE GRISE has been combining interior and exterior design codes with a shrewd and sensitive eye. Indoors or out, the collections exude simplicity, cheerfulness and a form of elegance that does not take itself too seriously. Elaborately worked, cut, bent and fashioned in our manufacturing workshops near Lyon, metal remains our preferred material. Our in-outdoor collections exploit clean-cut lines enhanced by a wide range of different hues. In 2014, MG will once again be working in collaboration with designers Luc Josancy and Rémi Casado and will be reaching out to the avant-garde of French design by creating a collection with Constance Guisset. The resulting new collections are both refined and elegant in design. 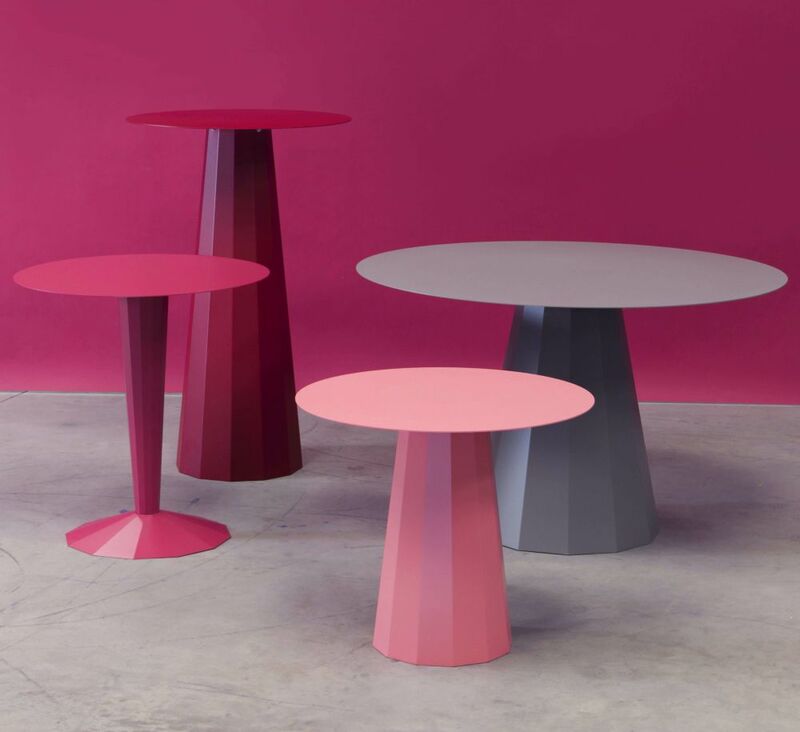 Parisian designer Constance Guisset’s Ankara 2009 collection comprises a range of five indoor tables, three of which were initially designed for the Ankara branch of the Institut Français in Turkey. Redesigned in an all-metal version and enhanced by the addition of two brand new models, the collection is available in eleven colours taken from the designer’s colour wheel. This is the first time that the Lyon brand, a benchmark in metal in-outdoor furniture, has worked with the avant-garde French designer.